Earlier this week, I had the privilege of visiting my local Trunk Club to be styled. 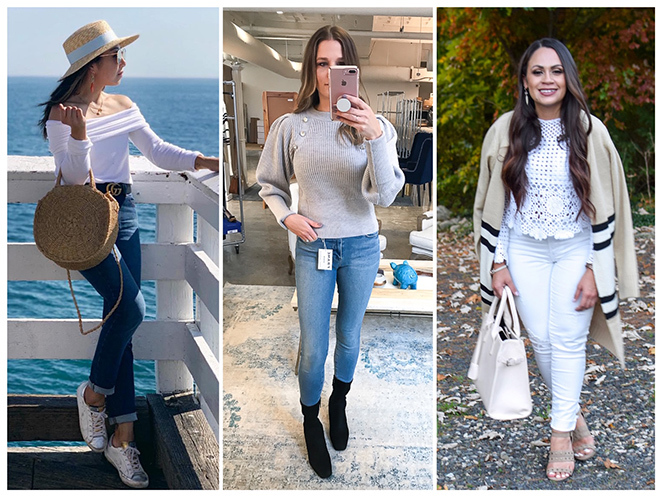 I know a lot of you are familiar with Trunk Club, the personal styling service (if you're not, don't fret, I'm sharing more about the service in this post). 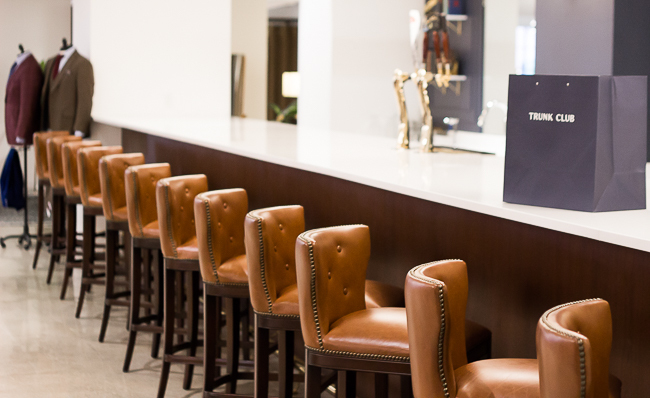 However, what many don't realize is that Trunk Club also offers in-person styling at one of their clubhouses. Now, there are only six cities that have clubhouses throughout the country, and Boston happens to be one. 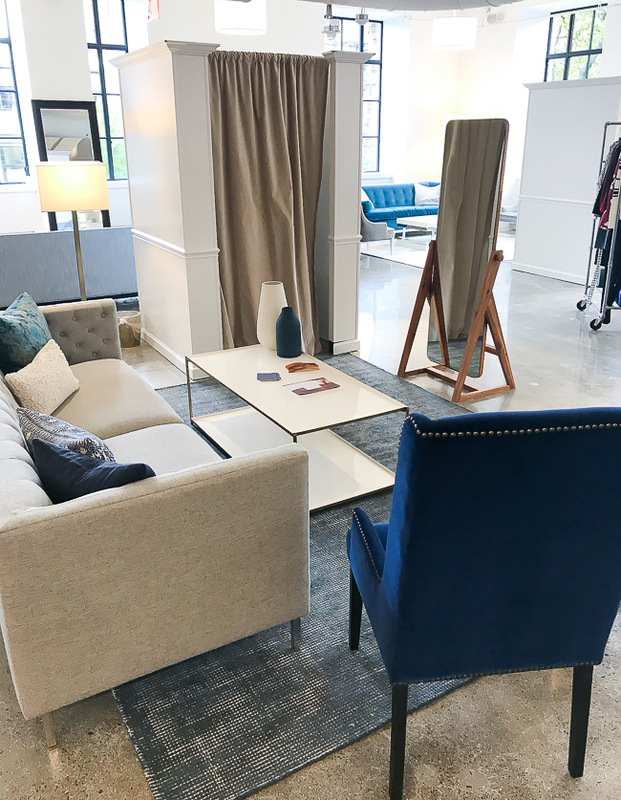 I have been using Trunk Club for several months now, and LOVE the service, however this was my first time being styled in-person, and it was an experience everyone should, well, experience. 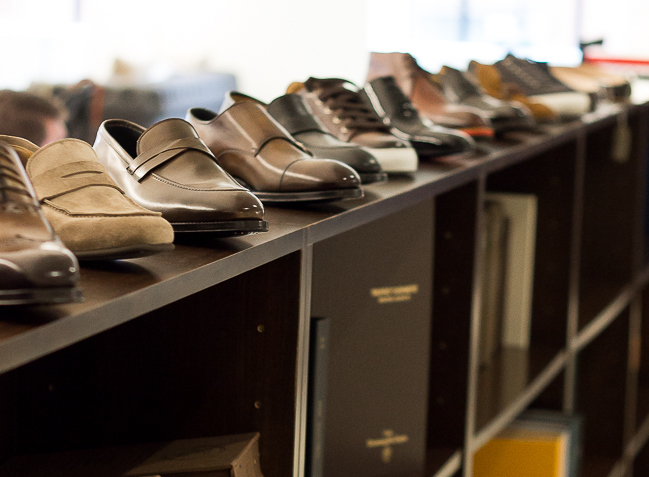 Trunk Club Boston is located in the Back Bay neighborhood, right on Boylston Street. Upon walking in, there was an immediate feeling of warmth. I'm not sure if it was from the friendly greeting or the comfy leather couches, but I'm assuming it was a mix of both. There was a bar that span the entire front half of the club, where complementary beverages were served. I opted for water, but next time I may bring a friend along, and choose a cocktail! I was then introduced to my stylist, Reva, who brought me to my fitting room area, which resembled a small living room. There, we first talked about my clothing preferences and lifestyle. Now, she already had an idea about these, as she had put together my previous two Trunks. However, if you're new to Trunk, this is where your stylist really gets to know, you so be open and don't hold back. After our initial chat, Reva then went to collect the items she had picked out for me. Similar to receiving a Trunk in the mail, she had a rolling rack filled with about 20 pieces which included shoes and accessories. Let's just say, I was pretty much obsessed with everything she had me try on. First up was this knit from Rag & Bone. Although I don't typically wear reds and bold colors like this, I quickly fell in love with this sweater. It's something I can see myself wearing dressed up (perfect for the holiday season), or with distressed jeans and booties on the weekends. 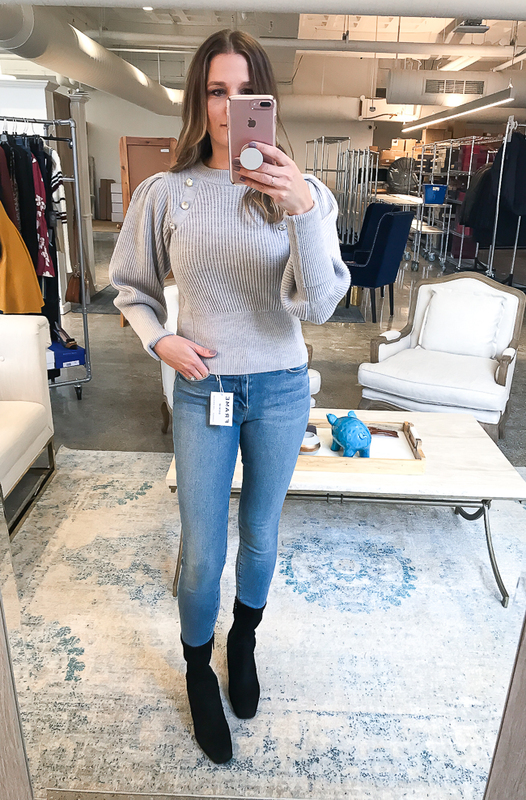 My favorite thing about this sweater was the funnel neck. It just fit so well, and was super soft. Another thing I fell in love with were these jeans! They are, by far, the most comfortable pair of jeans I have ever put on. They are by L'AGENCE and it was my first time trying the brand. They formed to my body like none of my other jeans ever have, were super soft, and had the perfect high rise. I wasn't sure if I needed another pair of distressed jeans in my closet, so they didn't come home with me. However, I can tell you the next pair of jeans that I do purchase will be from this brand, because they are worth every. single. penny. *I couldn't find the exact distressed wash for the jeans online, so I linked the non-distressed wash instead. Next was this Rag & Bone blouse that had a fun zipper detail, and a great fit. Although the blouse was on the flowy side, the cut allowed it to drape your body just right, showing off your figure. I also loved that I could wear the zipper as high or as low as I wanted, making this shirt perfect for both the office or a night out. We paired it with light Rag & Bone jeans for a casual feel. Also, we need to talk about these boots, because they are amazing. I loved the cut of them, as they had a classic, yet trendy look, and they were so comfortable. The best part is that they are weatherproof! Yes, a suede boot that you can wear in the rain and light snow, and they won't get ruined, plus they keep your feet dry. If you live in New England you need to check out this brand. They are by Aquatalia, and again, although on the pricier side, the fact that they're weatherproof makes them work every penny. 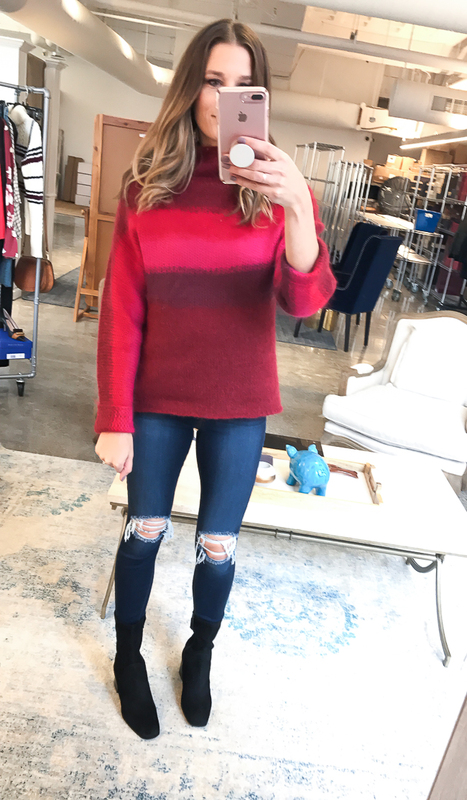 This sweater was one of my favorite items that I tried on. 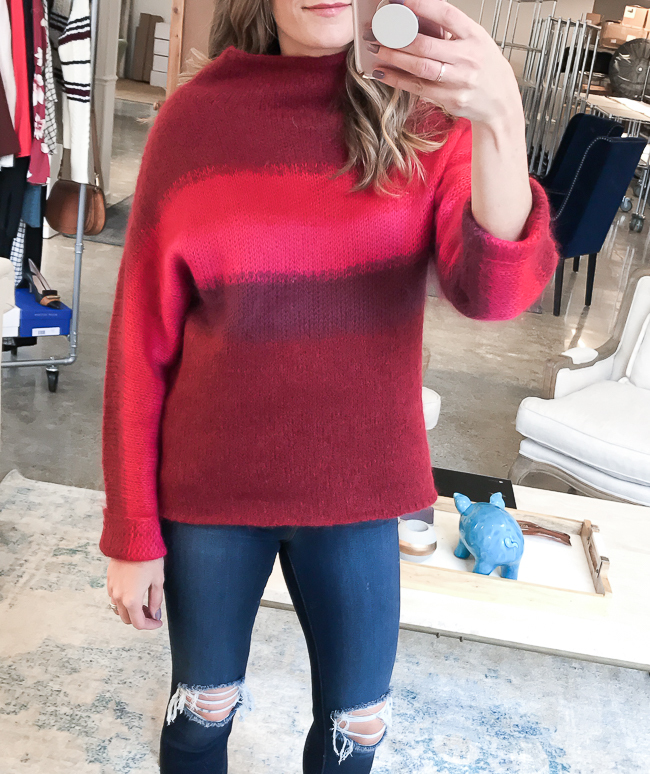 I'm a big fan of classic pieces with a twist, and fell in love with the sleeves on this Veronica Beard sweater. 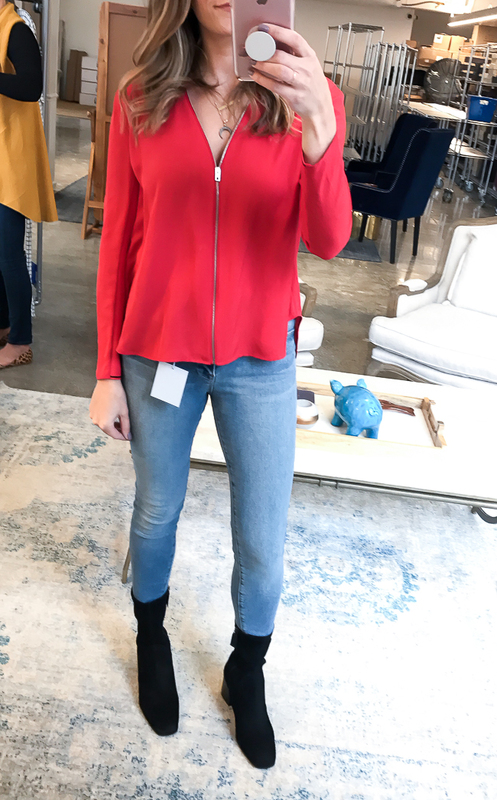 Although I've admired Veronica Beard from afar, this was my first time trying on pieces from the brand (Reva also had me try on the Scuba Jacket, which is AMAZING and now on my wish list). Now, I won't be filling my closet up with Veronica Beard anytime soon, as it's on the pricier side, but I'm looking forward to adding some tops and jackets in the near future. I do have to admit that a lot of the items my stylist pulled for me were a bit over budget. However, she was mainly using these items as a reference guide. Now that she knows I love the fit of this sweater, she can search for something similar in my price range, and add it to my next Trunk. Another thing that I learned during my visit, is that Trunk offers custom clothing for men. Whether you want something causal, or formal wear, they can make it for you. You pick everything from the design, fit and fabric, and they'll bring it to life. The best part, is Trunk also offers free alterations on most purchases. So if you need your jeans hemmed, or the sleeves taken up on you shirt, it's provided. 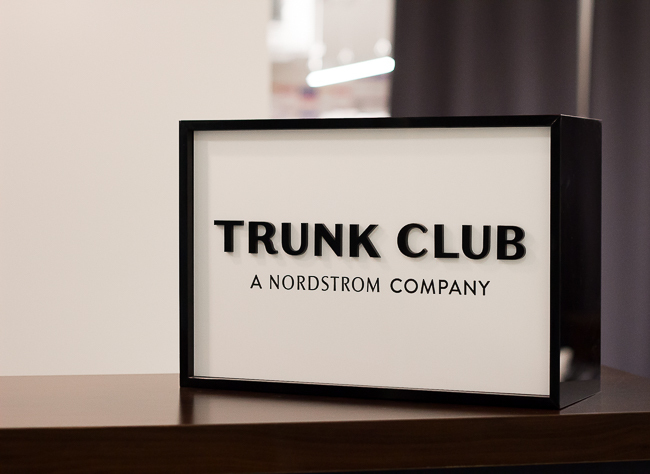 If you're unable to make into a clubhouse, don't worry, Trunk Club also has an online service, and ships items right to your home. Plus, it's so simple to schedule a Trunk! After signing up and creating your profile, you are assigned a stylist who will then message you to learn about your style preferences. You can either talk over the phone, or by email. Your stylist then puts together a package (Trunk) of 12 items to send to you, all to try on in the comfort of your own home. 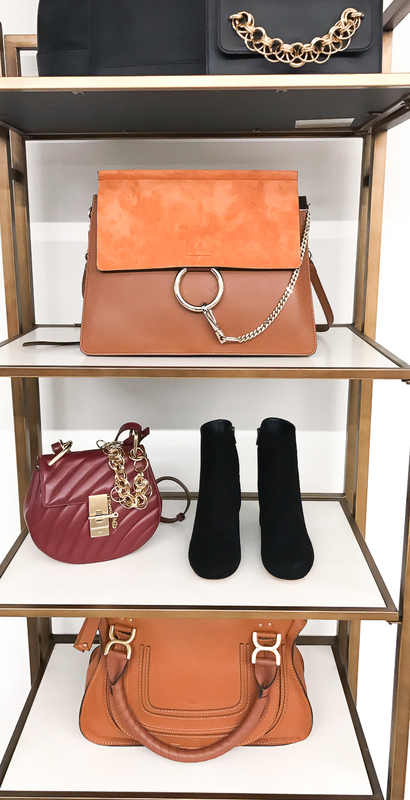 You have 5 days to decide what you want to keep or send back, then you can either schedule a pick up of your Trunk (in the prepaid package provided), or drop it off at your local Nordstrom store. Also, if you like an item and it's the wrong size, or want it in a different color, you can exchange it! 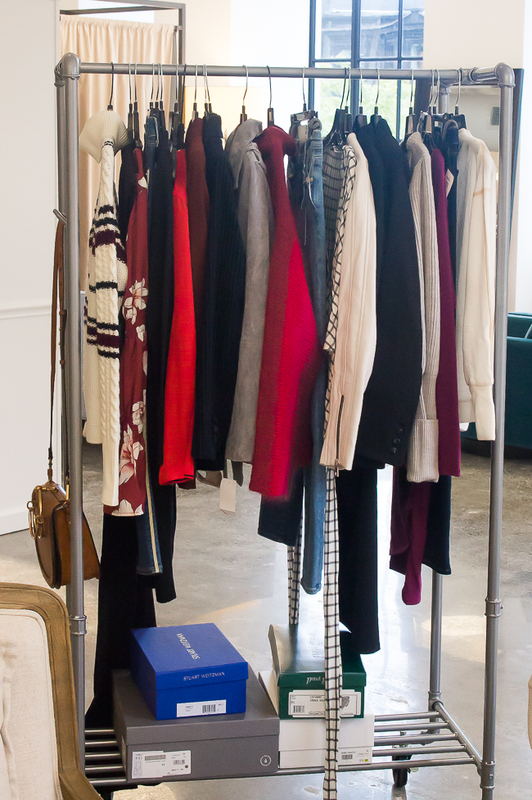 The best part is, you get to preview everything that your stylist sends in your Trunk beforehand! That way, if there was something you know you don't want, you can simply have it switched out for another item! There is a $25 styling fee with each Trunk. If you end up keeping any items, then the $25 is put towards your purchase. If you have a Nordstrom credit card, then the fee is waived! Now you may be wondering why someone would get styled in a clubhouse, instead of having everything sent to the comfort of your own home. Well, there are a couple of good reasons, and the first is the experience. I felt like I was being pampered during my Trunk Club Boston visit. Plus it was fun actually meeting my stylist in person (whom I love by the way!) and getting her opinion of how the items fit on. She was also able to show me how to style each item multiple ways, so I could get the most use out of the items I brought home. Another great thing about visiting a clubhouse, it that its free. There is no styling charge, unlike the $25 you pay to have your Trunk send to you. If you do have Trunk Clubhouse in your area, I greatly suggest visiting it, especially for your first fitting. When your stylist is able to see how the clothes fit in person, and hear your feedback, then it really helps them pick out items for you in the future. I know my next Trunk will be a great one (which is good for me, but bad for my wallet)! My favorite thing about Trunk Club is having a stylist. Although many use it for the convenience, I love that Reva picks out items for me that I wouldn't think to try on, and introduces me to new brands. I ended up going home with the Aquatalia boots, and would have never discovered them if it weren't for her. If you're looking to try Trunk Club, then I highly, highly recommend Reva. You can sign up with her HERE. You can read about my past two Trunk Club reviews here and here. The feature blogger is Ashley of Le Style Rouge. How fun are her pants! One of my favorite things about Ashley, is how she always makes super trendy pieces wearable. Make sure to check out her blog for great fashion tips, and to say hello! Is it cold (yet) where you live? Here in New England, we seem to have skipped right over fall and headed straight into winter temperatures. Seriously, today was a high of 46 degrees, in October! 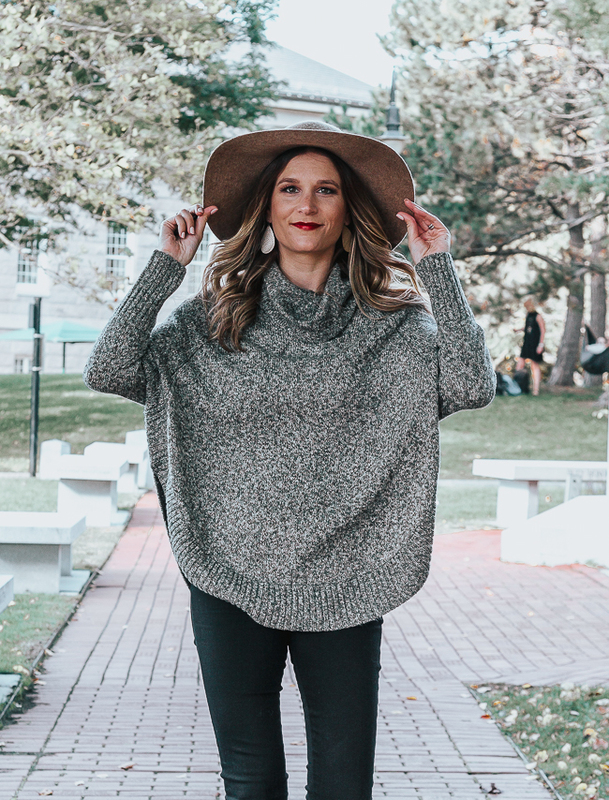 I've already had my favorite sweaters on heavy rotation for the past couple of weeks, so I was excited to find this poncho sweater staring at me when I opened up my latest Stitch Fix shipment. If you've been following along for a while, then you know I'm a big fan of the personal styling service, and each shipment never seems to disappoint. This time around, it was this Leo & Nicole poncho that was the keeper. My fix also included a great pair of legging (they were too similar to my Spanx ones, so I didn't keep them), a knit t-shirt dress, a black blazer, and a pair of booties. I did a try-on session of my Fix on my Instagram Stories, so if you'd like to see the other items, head on over to my Instagram. You can find it under the Stitch Fix highlights. 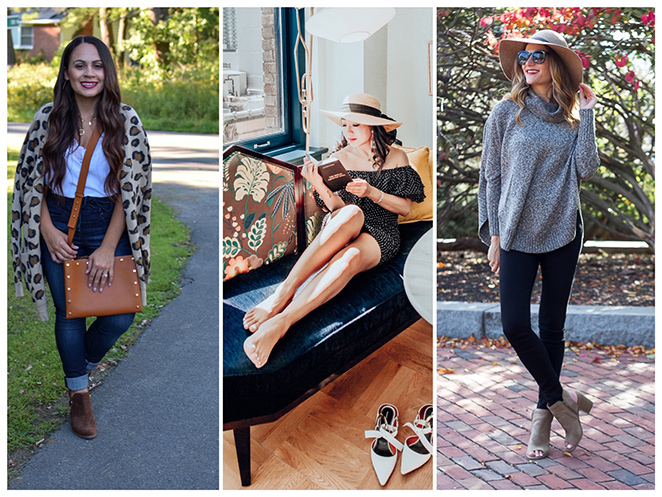 The weather happened to be on the warmer side when I took these photos, so I decided to pair the poncho with my black jeans and open toe booties, for an early fall look. For these cooler days, I've been switching out my open toe booties for a closed toe option, or have been wearing it with leggings and knee high boots. Speaking of boots, mine are currently on sale. Target is having a buy one, get one at 50% off sale on select boots! I checked out the selection, and there are a lot of cute options! I linked all of my sale picks below. Hurry, this offer is only valid through 10/20. You can check out my previous Stitch Fix reviews here and here. 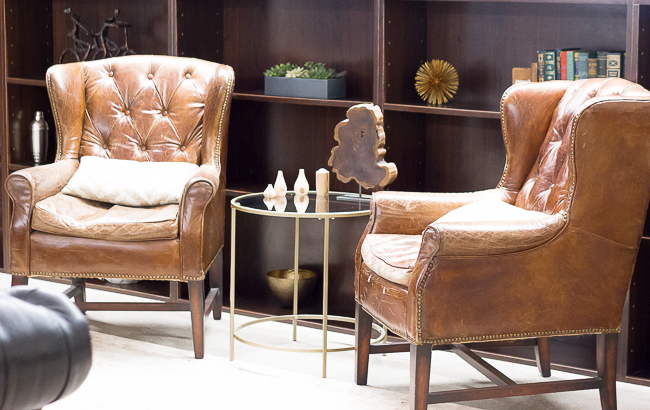 The feature blogger is Monica of Jersey Girl, Texan Heart. 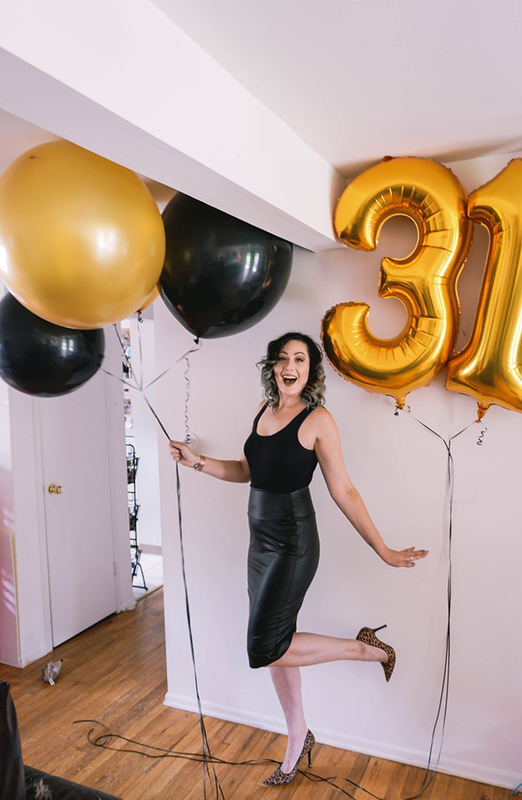 She recently celebrated her 31st birthday and looks amazing! I'm loving her post on what she would tell her younger self. Make sure to check it out, and say hello. At this point, it's safe to say that I have a large obsession for lace (and crochet) tops. In fact, they seem to be taking over my closet, and I'm not the least bit mad about it (you can see my last two lace purchases styled here and here). I have to admit though, I think this black and white number is my favorite. Between the crochet detailing, black accents, and the bell sleeves I'm in love. I decided to pair it with my black skinnies for a perfect date night look, however, what I like most is that it can be styled endless ways. It would look great tucked into a black pencil skirt or trousers for an office look, or you can go casual by throwing it on with a pair of distressed jeans and booties. It will also make a perfect option for the upcoming holiday season. Pair it with a full skirt or velvet pants, and you're holiday ready. 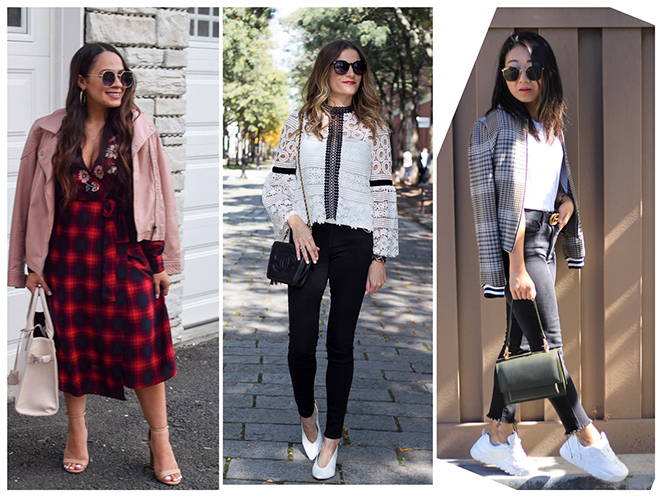 Do you have an item of clothing that you can't stop adding to your closet? 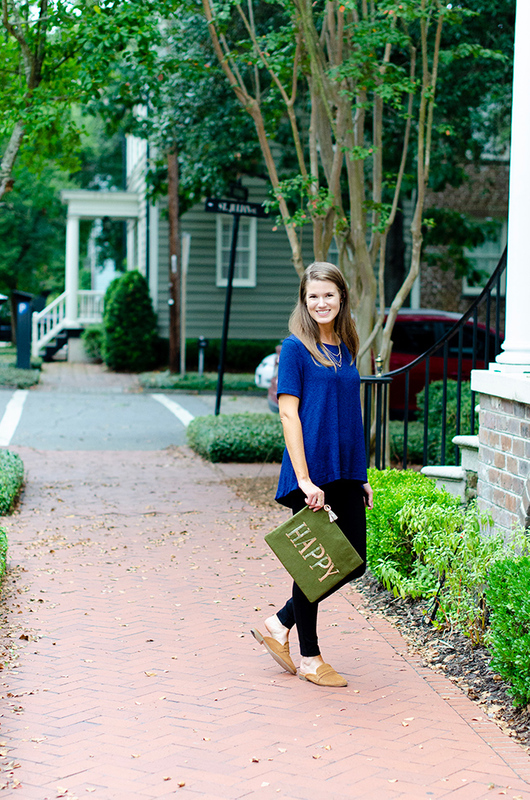 The feature blogger is Ashleigh of The Lady About Town. Not only does she look amazing in blue, but I'm in love with her clutch. Make sure to stop by her blog and say hello! Cardigan season is in full swing here in New England, and I couldn't be happier. As much as I love spending my days at the beach, it's this 55-60 degree weather that I truly love, and am most excited to dress for. 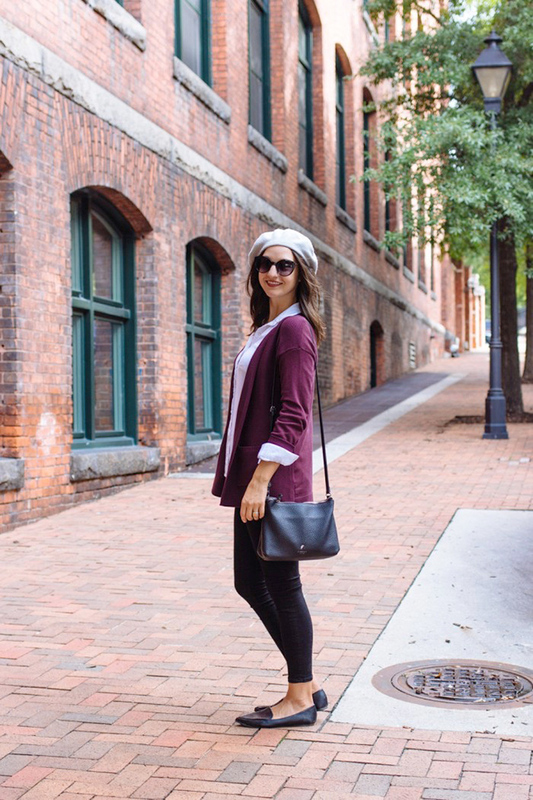 Recently, I shared my round up of this season's best cardigans, and today I'm showing you how you can style a cardigan multiple ways, simply by changing your accessories. A fun way to do this is by adding a belt. Not only does it give an oversized cardigan a little shape, but it's a cute way to close a cardigan that doesn't have buttons. I also love layering a scarf over my cardigan. In addition to providing extra warmth and coziness, a scarf makes a great statement piece. Of course, you can never go wrong with wearing a cardigan on it's own. One adds the perfect amount of warmth when wearing a tank or camisole, and looks great with everything from jeans to dresses. 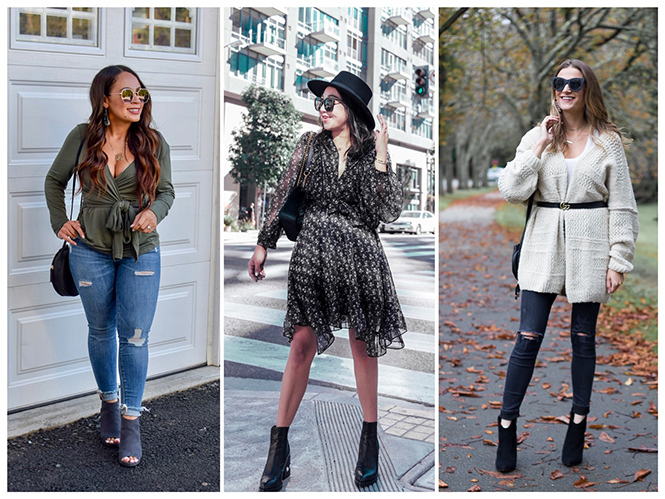 My oversized cardigan is from one of my favorite retailers, Chicwish, and beyond comfortable! 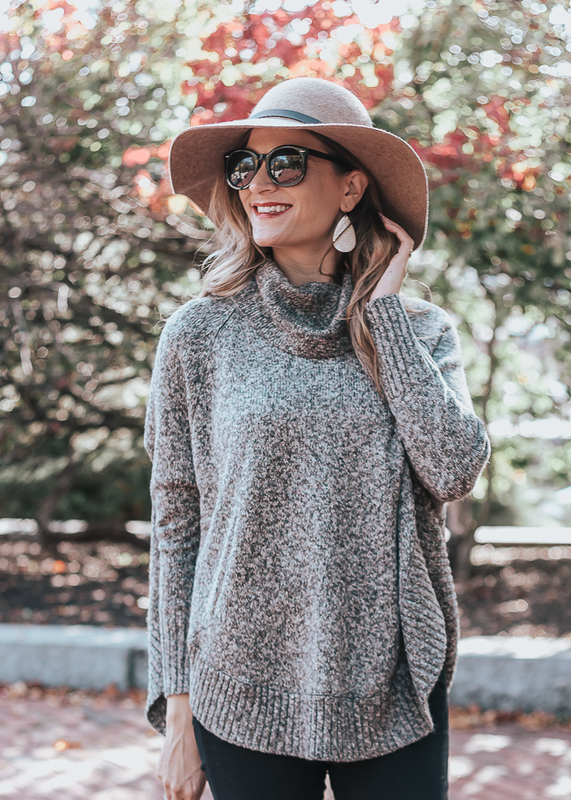 I'm headed to Killington, VT this weekend for a little leaf peeping and fall fun with the family, and you can bet this cardigan is coming with me! The feature blogger is Kristin from Countdown to Friday. I'm loving the color of her cardigan, and this classic look! How cute is the beret on her? Make sure to stop by Kristin's blog and say hello.